Tours rated ‘Active‘ normally have daily distances between 35 km and 50 km. Just about anyone who is in good physical condition will be happy on an ‘Active’ tour, however you should be comfortable with riding 3 to 4 hours a day on a bike. There could be some hills, too, but no longer than a couple of kilometers long. Our Custom Day Rides can fit any level of rider. Tours rated ‘Moderate‘ are for the recreational cyclist who feels comfortable riding between 50 km and 100 km a day. The terrain on our ‘Moderate’ tours can vary between pancake flat and climbs of a few kilometers in length. This type of tour would be ideal for someone who has a good level of cycling fitness and who enjoys riding for riding’s sake! Provence BreakAway is a ‘Moderate’ tour. Girona BreakAway is a ‘Moderate’ tour. Spain Cycling Camp is a ‘Moderate’ tour. Tours rated ‘Challenging‘ are designed for riders who have strong confidence and a clear idea of their abilities. Daily distances can be over 100 km on hilly to mountainous terrain. 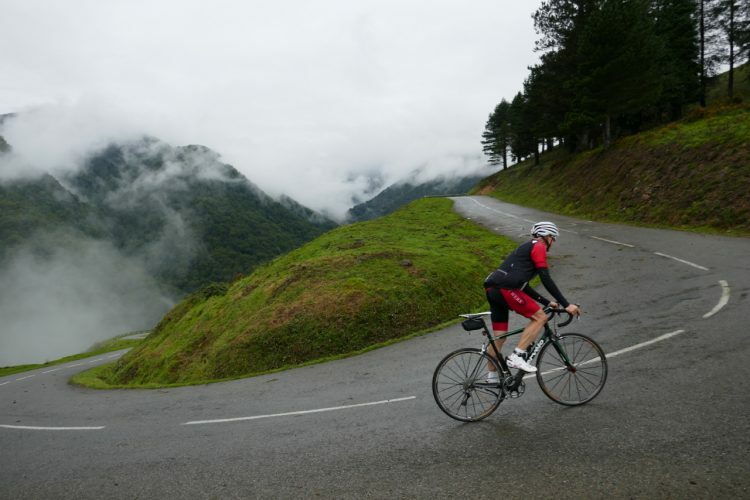 ‘Challenging’ tours will include climbs of over 10 km in length, often over mythic cols of the Tour de France. This type of tour is perfect for cyclists training for a big event or as the main objective of a cycling season. HighRoad Cévennes is a ‘Challenging’ tour. HighRoad Alpe d’Huez-Mont Ventoux is a ‘Challenging’ tour. Ventoux BreakAway is a ‘Challenging’ tour. Ventoux ascents are ‘Challenging’ tours. 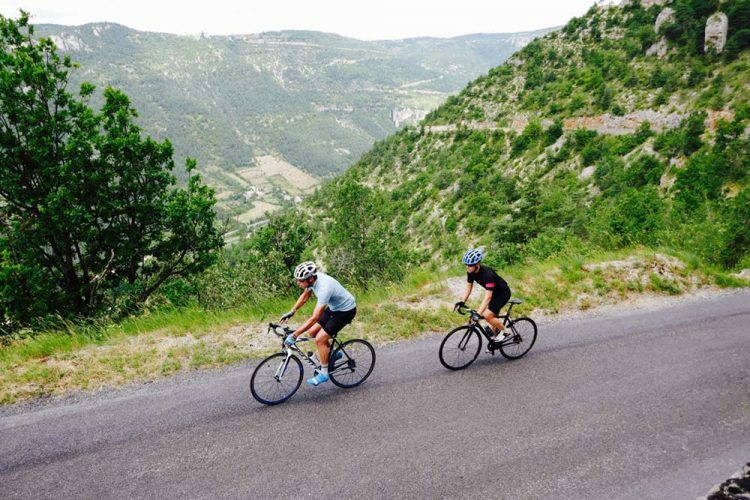 Ventoux-Alpe d’Huez Day Trip is ‘Challenging’ tour. The ‘Hors Catégorie’ (HC) rating is reserved for our toughest tours and should only be attempted by strong riders who have the endurance to ride long distances and steep gradients over multiple days. Our ‘HC’ tours are week-long adventures that climb legendary cols and are a must for those looking to ride in the pedal strokes of their cycling heroes. Our week-long ‘HC’ tours can have up to 15,000 meters (50,000 feet) of ascent. HighRoad Southern Alps is a ‘Hors Catégorie’ tour. HighRoad Pyrenees is a ‘Hors Catégorie’ tour. HighRoad Northern Alps is a ‘Hors Categorie’ tour. HighRoad Dolomites is a ‘Hors Categorie’ tour. If you have any further questions about ability levels and finding the right tour for you, check out our FAQs or contact us.